The Rat Relay is a Design Factory Global Network annual event, a global design-thinking ‘hackathon’. Each Design Factory brings a sponsored challenge that is relayed around the world before returning ‘home’. You know that old saying, a problem halved is a problem shared, right? Well, imagine sending your problems on a virtual relay around the world, to be solved by teams from four other countries who apply fresh thinking at each stage. Wintec Design Factory NZ director Margi Moore said the heat was on for the teams who worked six hour shifts during the relay before moving their ‘challenge ’ to the next Design Factory team across the globe. “It’s all about solving a problem that the rest of the world can relate to, but also having fun and learning new ways of thinking along the way. The team deliberated over a complex, environmental challenge from Raglan’s Extreme Zero Waste. The challenge? How might we change single-use packaging habits? The participants worked for six hours on Extreme Zero Waste’s problem, including doing empathy interviews with shoppers at a mall, before sending it on to the Warsaw Design Factory team in Poland. From there it went to Chile, then Korea and Columbia before coming back to New Zealand. The participants reviewed all options and presented a detailed report and a video to Xtreme Zero Waste’s chief executive Cheryl Reynolds. The solution was to create reusable boxes for retailers, made of recycled plastic for shoppers to pack their goods in to. The teams dealt with issues such as overcoming food contamination with repeated use and came up with ideas for local and central governments to incentivise consumers. An awards system was proposed to encourage consumers to return the boxes, therefore creating a “closed loop”. Amanda Moxey from Xtreme Zero Waste says they found the process extremely inspiring. “We had ideas, but you gave us insight into how we can explore those further,” she said at the post Rat Relay gathering to acknowledge participants at Design Factory NZ headquarters at Wintec. The global hackathon involved 14 of the 24 Global Design Factories including New Zealand’s only Design Factory, launched in 2017 at Wintec. During the Rat Relay, there were another four projects happening at the same time. Wintec IT student Michael Turnock recalled the challenge that originated from the Porto Design Factory team, who were looking at ways kayakers could pick up rubbish from rivers. Wintec engineering student Ahkil Mylarapu described a ‘pongy’ problem that circulated the relay from the Warsaw Design Factory team. Their problem was the challenge of managing high ammonia emissions from the urine produced by intensive chicken and pig farming near the city. Most of the 2018 Rat Relay problems were environmental, including how to deal with waste from humanitarian aid. 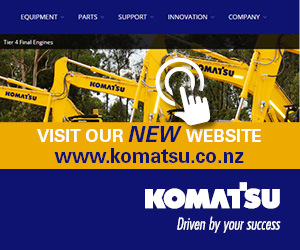 Moore says the Design Factory NZ is keen to take part again next year and expand the teams to include participants from secondary schools and other organisations who want people involved in innovation experiences. 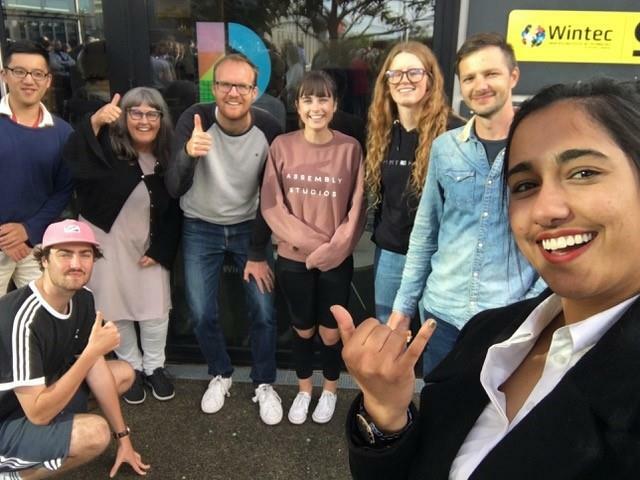 Design Factory NZ is now established at Wintec and offers a programme to third-year Wintec students, as well as professional development for organisations seeking to upskill in their problem-solving abilities. “Our students come from across Wintec and are guided by a passionate team of tutors to use their multidisciplinary skills to work together and develop solutions using design thinking,” says Moore.